Melbourne based songwriter, vocalist, musician and hip hop artist Pat Marks aka Pataphysics is creating a brave new path for Australian hip hop with his honest and forthright message and delivery. This is not hip hop spruiking the stereotypical cries of cash, women and fame, no, Pataphysics is preaching on a higher ground and using the fundamentals of real music, real issues and powerful imagery to get his point across – and he has caught Australia’s attention without a doubt. Political hip hop always lends itself to controversy, especially when the music’s vocal point is dealing with current issues affecting refugees and ex-detainees in this country. This is a subject matter that resonates deeply with Pat, who serves as the Music & Arts coordinator of R.I.S.E (Refugees, Survivors and Ex-Detainees) where he runs music, beat making and poetry workshops as well as providing recording and production for young refugee artists. Travelling around Australia, Pat has been able to reach many young refugees and ex-detainee youth through his hip hop music program as well as securing himself the position of Poetry / Rap teacher at Footscray Art Centres “Hip Hop Academy”. 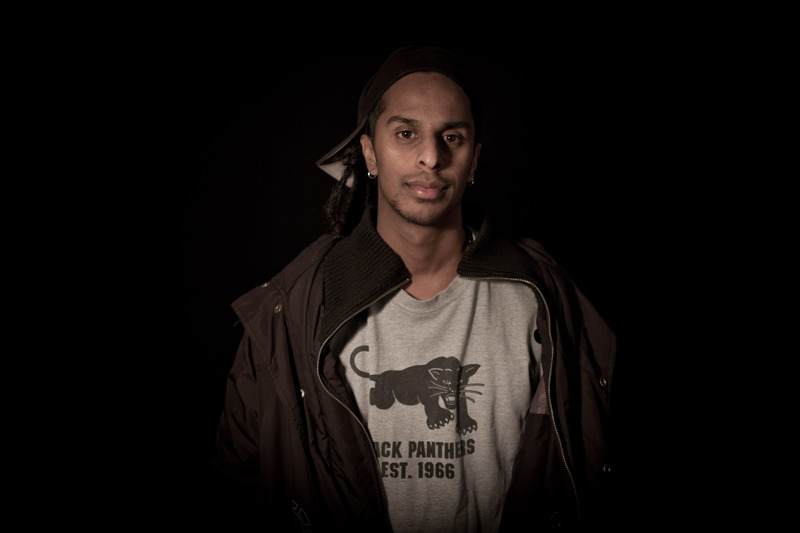 Sri Lankan born Pat prides himself on his worldly outlook to hip hop and has affectionately called himself “the guerrilla of Australian Hip Hop” in that his sound interweaves between political anthems of hip hop to the smoother tones of soul and jazz. Working with his live band, Pataphysics is fast becoming the live act to follow, opening and supporting a great many touring artists such as; Dead Prez, J.Period, 360, Apache Indian, M-Phazes and more. He has fronted the stage at grand music festivals like; Big Sound 2013, RISE Festival 2013, Wide Open Spaces ( Alice Springs) 2012 and Sydney Festival Opening Night 2010 just to name a few. Drawing on his musical influences of Miles David, Erykah Badu and Public Enemy, as a respected trumpet player himself, Pat believes in blending music forms to create the canvas for his hypnotic sound, which has the nation intrigued. His trumpeter talent has seen him work alongside and on projects with artists as such Rob Swift ( X-ecutioners), S1 ( Strange Fruit Project), Dialectrix and Ishu ( Foreign Dub) to name a few. 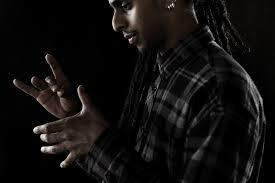 His debut album “ Subversive” (2012) is making steady headway in the underground hip hop community and getting industry attention ( listed in the top 15 albums 2012 Australian Music Prize), Pataphysics is securing his position in the Australian Hip Hop community for two feet firmly on the ground. Rapping in both Sri Lankan and English tongue, his sound is breaking boundaries and creating an exciting new niche for his brand of hip hop. Pataphysics is steady rising and continues to gain momentum with this music and message. With a new EP and lead single “Breath In” capturing a new legion of followers, it is plain to see that for this hip hop crusader, actions speak louder than words! Great to talk to you Pataphysics – how has life been treating you of late? Life has been great. Just released the EP and had a packed launch in Melbourne …..and the sun has even come out as of late. You are known as ‘The Soulful Guerrilla of Hip Hop’ and your sound leans towards political and socially aware hip hop with a message. How would you best describe yourself, your sound and your vision? I make hip hop music heavily influenced by jazz and soul. I write lyrics about things that I feel strongly about often which are political in nature. How did you get into Hip Hop and what are your thoughts of hip hop in Australia and its audience over the last few years? I got into hip hop in primary school. Seeing Public Enemy, LL Cool J, De La Soul on TV, my sitter’s music collection and getting NWA tapes off my friend’s older brothers had a huge impact on me. Your heritage is Sri Lankan…how would you say your cultural background has affected the way hip hop speaks to you and what you in turn care to share with your audience? It got me playing music at a young age, which really helped give me a great grasp and practical understanding of rhythm. You are an MC, producer and multi-instrumentalist – what would you say has been your greatest inspiration in this music game and what gives you your definitive edge? A lot of music has influenced me through my development. I really get into different styles and musicians, immersing myself in their music, understanding it and moving on. I think using traditional hip hop /sampler/ MPC techniques and combining that with live instrumentation gives me the sound I want. Sometimes its great experimenting and finding sounds via sampling, other times I just have to get down exactly what’s inside my head. 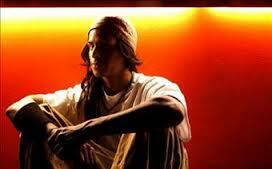 How would you describe Hip Hop in Australia and what do you see your role as being in this community? Hip Hop in Australia is expanding and growing quite quickly. I kind of see myself on the outskirts of the scene a bit, so not sure exactly of my role at this time. You are no stranger to tour life and have supported a plethora of big Hip Hop names such as: DEAD PREZ, J.PERIOD, POIRIER, OLMECHA SUPREME, THE NARCICYST, 360, PEZ, SETH SENTRY, DJ DEXTER, APACHE INDIAN, M-PHAZES, LOTEK, to name a few and have appeared in a gamut of festivals over the years – what do take away from each performance that encourages you on your hip hop journey? Performing live is a great feeling, so many awesome experiences and memories! It’s also the best practice you get. Trying new material, arrangements and improvising really helps refine and develop your sound. Your background is teaching and community services….. Can you tell us about the RISE organization and your work in that? RISE is an organization that is governed by refugees, asylum seekers and ex-detainees. It’s the only organization of its kind in Australia and I run the music program and recording studio there. You represent Melbourne to the fullest …….What do you think is the difference between Melbourne and Sydney hip hop if there is any? I think Melbourne has more venues which support local acts. I feel Melbourne has the best live music scene in the country, so it gives up-and-coming acts lots of chances to play as well as keeps the quality of bands quite high. What you currently working on music wise right now? Currently working on lyrics, production and horns for some different side projects, as well as beginning work on the next record, which I’m really excited about. Your greatest musical influence and why? That’s a tough one. Hendrix has influenced me a heap! The way he played guitar really inspired me to experiment with my trumpet sounding using effects and running through amps.